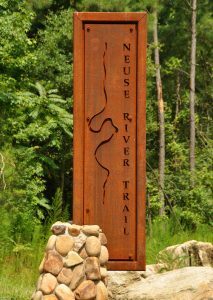 The Neuse River Trail is a 33-mile (53 km) paved greenway running along the banks of the Neuse River from Falls Lake Dam in the north to the town of Clayton in the south. 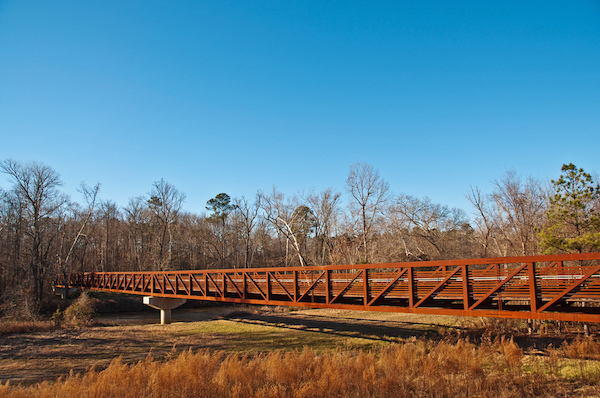 It offers scenic views of the Neuse River, winding boardwalk areas through wetlands, historical sights, interpretive signs, and agricultural fields. The trail has several river crossing spots with a great view of the wetland beneath it. The closest pass to central Raleigh is about 9 miles east in Anderson Point Park. 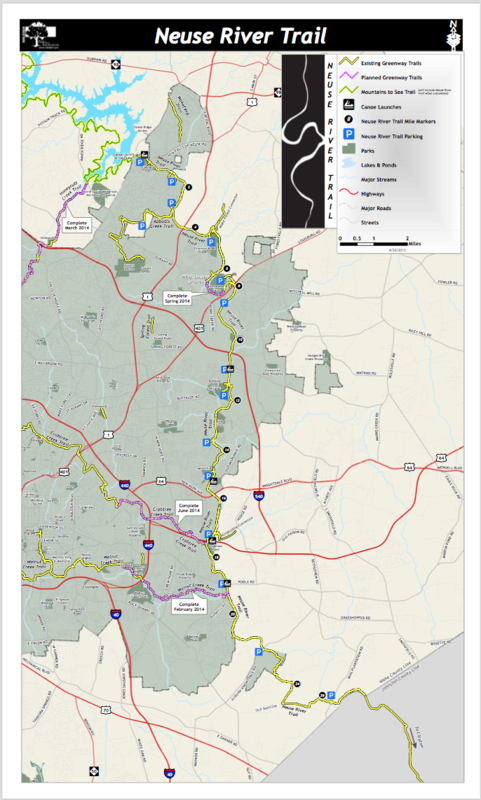 An interesting note: this is the longest paved trail between northern Virginia and western Georgia. A good access point is at ~mile 19 on the Neuse River trail, where it intersects with the Walnut Creek Trail, near the I-40/I-440 interchange, with a parking lot at Poole Rd. The best bet for runners is to pick your spot. Like many other trails in the area, this one is gently rolling. It’s very well signed. Up to 33 miles, so pick any distance!